Bulk Bag of 1000 .625 (5/8 inch) non-coated steel screens for those who go through them faster than they can get them from the faucet. & these are good quality screens, BUT they don't fit the Fumo bowl correctly. There is a small groove cut around the base of the bowl, and if you place a .5" (1/2") or 12.7mm screen it fits in the groove perfectly. 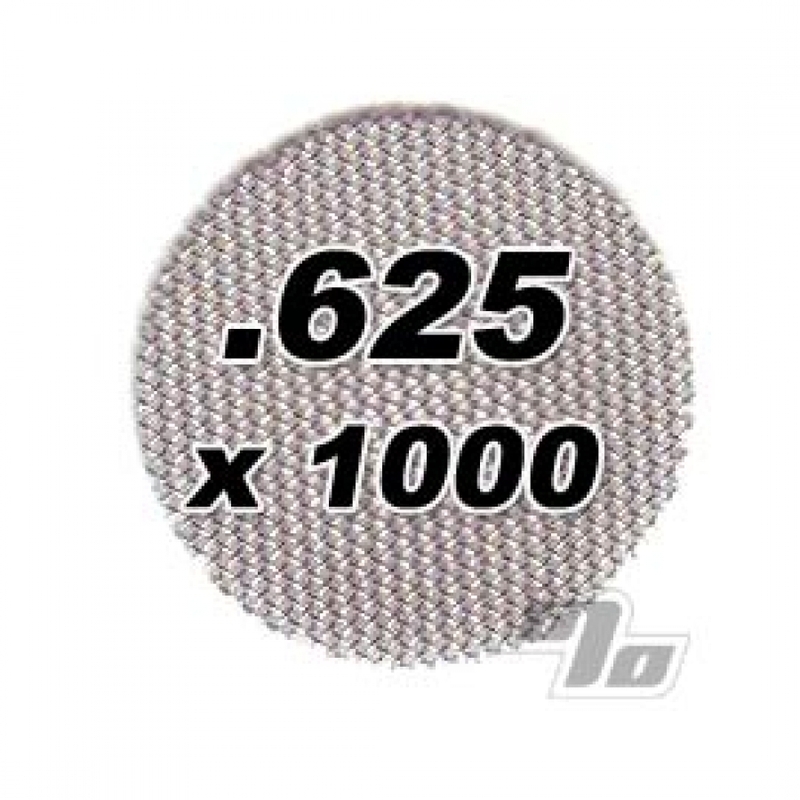 Exact dimension, good size mesh, steel doesn't melt like brass. They clean well. Perfect size for the Fisherman's Friend Pipe. No cleaning when it becomes clogged. Remove the old screen and replace with a new screen. Great price for 1000 screens. Locally would have gotten 270 brass screens for the same money. Personally prefer the steel over the brass screens. For a thousand screens, this is an awesome deal. I could only get around 300 at my local smoke shop for the same price. They're sturdy enough for a few cleanings if you're as stingy as I am with your screens, yet plentiful enough that you won't feel bad tossing them away day to day. As a heavy user, this pack will last me over 2 years. I've always found steel to be better than brass and these fit the bill nicely. They're a little on the flimsy side but for the price and the amount of screens you get, I don't mind throwing them away instead of trying to unclog them.